This is killer!! All the benefits of a twin light, 2 H3 bulbs fire great light in a single beam, or double beam! 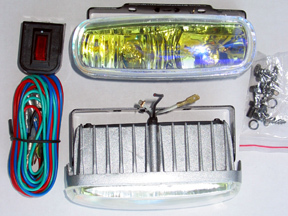 This pair of lights can be used for driving lights, back-up lights, loading ramp lights, anything! Comes with everything pictured.